Like you, mice experience regret and learn to avoid it: New study – FIREPAW, Inc. The next time you are feeling regret over your decision to change the line you are waiting in at the grocery store or have that piece of double chocolate fudge cake, think about mice–as it turns out they too experience regret, and learn to do what it takes to avoid feeling regret in the future. New research has discovered that mice are capable of learning to plan ahead in order to avoid regret down the road even if there is no additional gain in rewards. Because each mouse had an individual preference of which flavors it liked, they were willing to wait a different amount of time for each flavor. 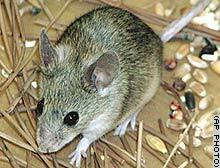 The authors found that the economic strategies that the mice used changed over a period of months. Early in training, mice rarely changed their minds. But as the potential price increased (by increasing the time the mice had to wait), strategies that worked perfectly fine to earn plenty of food when prices were cheap no longer sufficed and the mice learned a new strategy to back out of bad deals that were initially accepted with haste. The authors found evidence for regret that impacted immediate valuations at subsequent restaurants following these change-of-mind decisions (mice were more likely to accept and wait for bad deals they normally wouldn’t, made those decisions faster, and rushed through consuming earned food). However, over the next month, strategies continued to change and mice learned to take extra time to plan ahead and avoid bad deals by skipping them altogether.